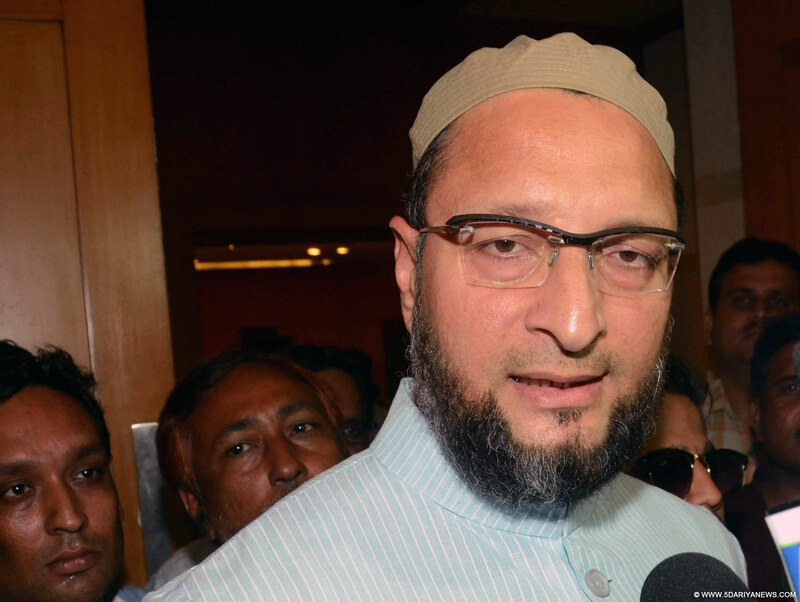 AIMIM chief Asaduddin Owaisi on Monday demanded an inquiry by a Supreme Court judge into the escape of eight alleged SIMI activists from Bhopal Central Jail and their subsequent killing in a gunfight with police.Stating that the theory being put forward by Madhya Pradesh's Home Minister and police is unbelievable for a reasonable mind, Owaisi, who is also the Hyderabad MP, said a probe by an apex court judge was necessary to unravel the whole truth.He termed the entire incident of escape of the alleged activists of Students Islamic Movement of India (SIMI) from jail and their subsequent killings in encounter as "very surprising" and "shocking".The All India Majlis-e-Ittehadul Muslimeen (AIMIM) chief said it was perplexing that these escaped undertrial prisoners were fully clothed, wearing shoes, had watches and bands on wrists and belts on trousers. "These things are not given to undertrials. Only a probe can unravel the truth as to how they got these things," he told reporters here. Owaisi said there was huge discrepancy in what Madhya Pradesh Home Minister and police officials were saying. On the home minister's statement that these fugitives were armed with spoons, he said ATS (Anti-Terrorist Squad) could have easily overpowered and arrested them. "People who escaped from prison after assassinating a guard only had spoons. To any normal person, this theory is unbelievable and that is why I am of the opinion a proper and independent investigation has to be done," he said, adding this was needed to know how did these eight fled a high security prison by killing a guard and the subsequent gunfight in which all were killed.Voicing concern over killings of undertrials in various incidents, the MP said this would not help the cause of justice.He also said that it is high time that all terror-related cases are dealt in a time-bound manner.Owaisi also pointed out that Malwa in Madhya Pradesh is the epicentre of terrorist actions throughout India, like the blasts in Makkah Masjid, Ajmer, Modasa and various other places. The accused in the plot to assassinate Vice President Hamid Ansari also come from this place, he said.He also noted that the main accused in Makkah Masjid blast case Ramji Kalsangra and Dangre were yet to be arrested.